Superclamp combined with the locking magic arm. 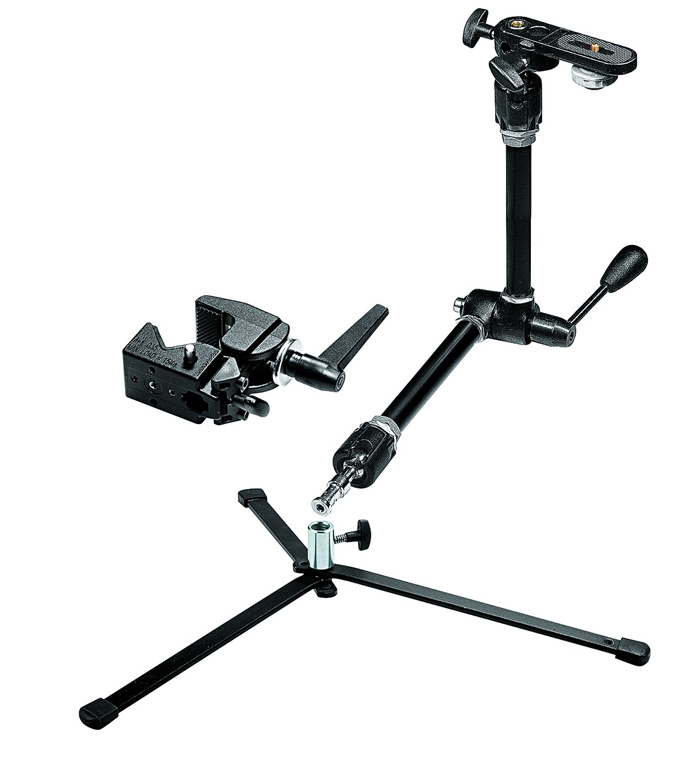 The single friction lever arm in the middle of the magic arm controls all 3 pivot points at the same time. When at full reach it measures 530mm, allowing the camera to reach some very unusual angles. Magic arm will support a maximum of 3 KG. Hugely versatile. Strong locking action. Infinite variety of shots possible.